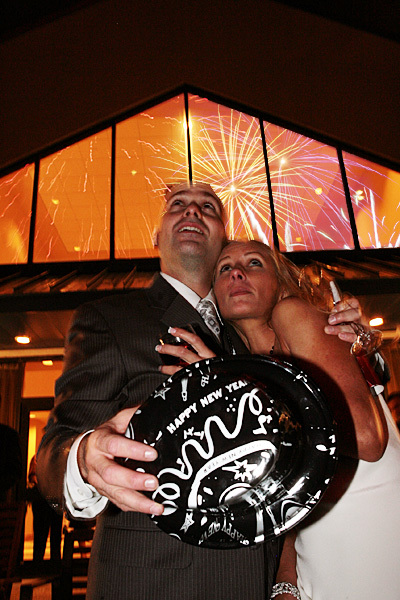 Dana and Joe came to All the Best with less than 3 months to plan their New Year’s Eve wedding. They had two daughters so the venue had to be a hotel that was family friendly with room for their ceremony on site. View all of our All the Best Weddings & Celebrations REAL WEDDINGS on Pintrest. Photos courtesy of Tony Yang Photography. Dana’s dress was found in record time at a charity re-sale shop in NYC. Custom floral arch framed draping put in place to cover the exit sign behind it. 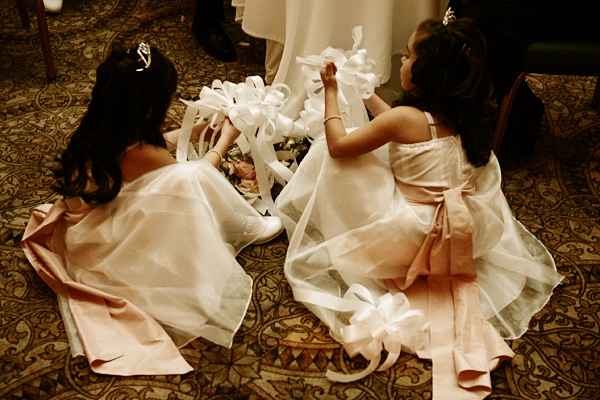 Flower girls, including the couple’s daughter, played with the aisle bows after the ceremony. 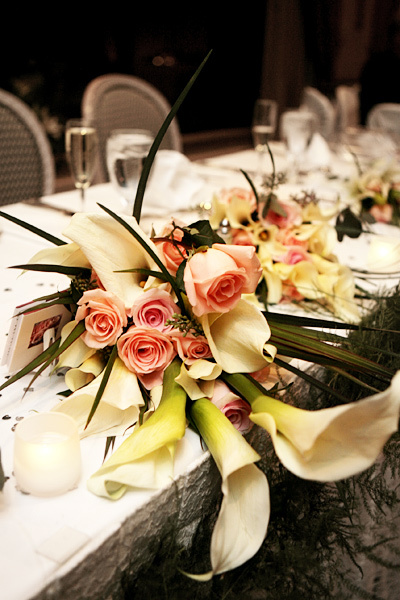 Bride’s bouquet consisted of her favorite long stem white calla lilies and peach roses. What better way to bring in the New Year and celebrate your marriage then with fireworks on the beach.